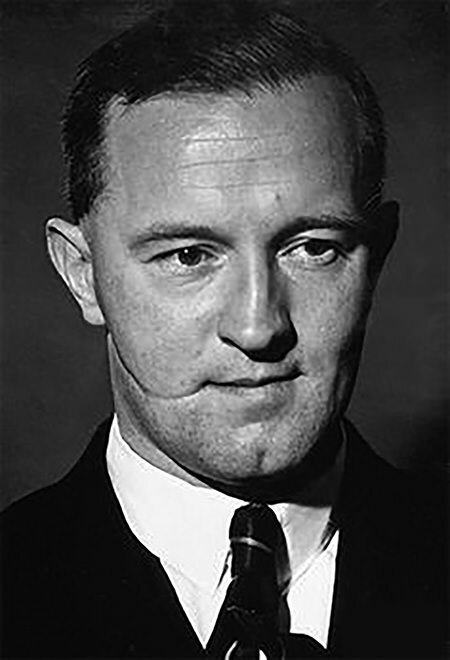 William Joyce was born in Brooklyn, his father an Irish Catholic and his mother Anglican. When he was a small boy, the family returned to Galway, Ireland, where as a Catholic, an Anglican and a Yank all at the same time, Joyce was doomed to be an outsider. He attended Catholic schools but, unusual for Irish Catholics, supported a union between Ireland and England. He was said to have aided the Royal Irish Constabulary (The Black and Tans) which put him at odds with the local fighters in the IRA. In 1921, Joyce realized that leaving Ireland for England would be good for his health. He joined the Worcestershire Regiment, but was drummed out when it was discovered that he had lied about his age. He then began Officer Training at the University of London, and while attending classes he developed an interest in Fascism. While speaking at a Conservative Party Function, Joyce was attacked and slashed with a razor. He always claimed that the nasty scar was from Jewish Communists. During the Thirties, Joyce was a rising star in the British Union of Fascists (BUF) and known as an effective orator. However, he was not well liked within the ranks of the Union, and when it was time to reduce staff, Joyce got the sack. Just before War was declare, Joyce received word that his activities with the BUF were still enough for him to be interred, so he skipped the country. He became a naturalized citizen of Germany in 1940, but was unable to find a job until a chance meeting took him to the studios of German State Radio, where his talents as an orator and pro Fascist were recognized. The moniker “Lord Haw-Haw” was initially hung on another broadcaster, Wolf Mittler. Joyce took over the Haw-Haw role while Mittler began working more closely with Axis Sally, Mildred Villars. The Lord Haw-Haw character affected an “Upper crust” accent, played for maximum comic effect, with words like “So you British think you can defeat the superior German forces?! Haw-Haw!” Although there had been a number of other anonymous Lord Haw-Haw broadcasters, Joyce actually identified himself personally to listeners. His voice was too distinctive to disguise, due to a nasal twang, the result of a school yard brawl. Joyce made his final Lord Haw-Haw broadcast on April 30, 1945, during the Battle of Berlin, drunkenly and defiantly going of the air with “Heil Hitler and farewell”. The next day, the Radio Hamburg facility was behind Allied lines. 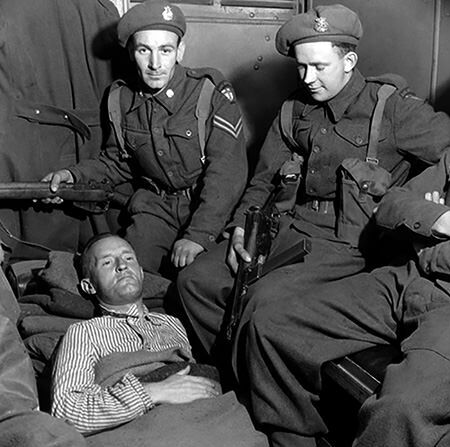 On May 28, Joyce was captured near the Danish border. When Intelligence soldiers thought he was reaching for a gun (he was reaching for a false passport), they shot him in the buttocks. Joyce was tried for treason at Old Bailey for High Treason. His defense team argued that since he was born American, had lived in Ireland and was a citizen of Germany, he could not have committed treason against England. However, since he carried a British passport while he was broadcasting, he was entitled to diplomatic protection as a British subject, and therefore the courts found that he did indeed owe allegiance to the Crown. He was hanged at Wandsworth Prison on January 3, 1946. As was customary, his remains were buried in an unmarked grave within the prison walls, although in 1976 his body was exhumed and reinterred in Galway, Ireland. For more WWII era Axis proganda also: Tokyo Rose, Axis Sally, and Charlie and his Orchestra. Be the first to comment on "Lord Haw Haw"